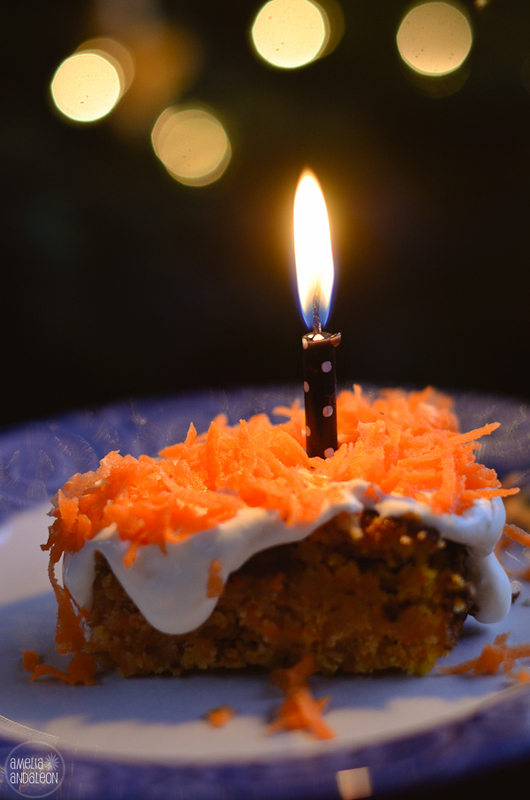 This entry was posted in 365 Project, birthday, bokeh, dessert, Food, lighting, Nikon D7000, Photography, vegetarian and tagged 365 project, birthday cake and candle, birthday cake and candle with christmas tree lights, food photography, gluten free carrot cake from nourish sequim washington, nikon d7000, Photography. Looks good. Linda is now gluten intolerant so I am always on the lookout for food for her. Can’t eat the Ravioli this Christmas so I found some gluten free pasta tues and am putting the filling in them with the sauce and baking in the oven for her.